I recently came back from a lovely trip to Europe and one of my stops on the trip was the lovely city of canals Amsterdam. 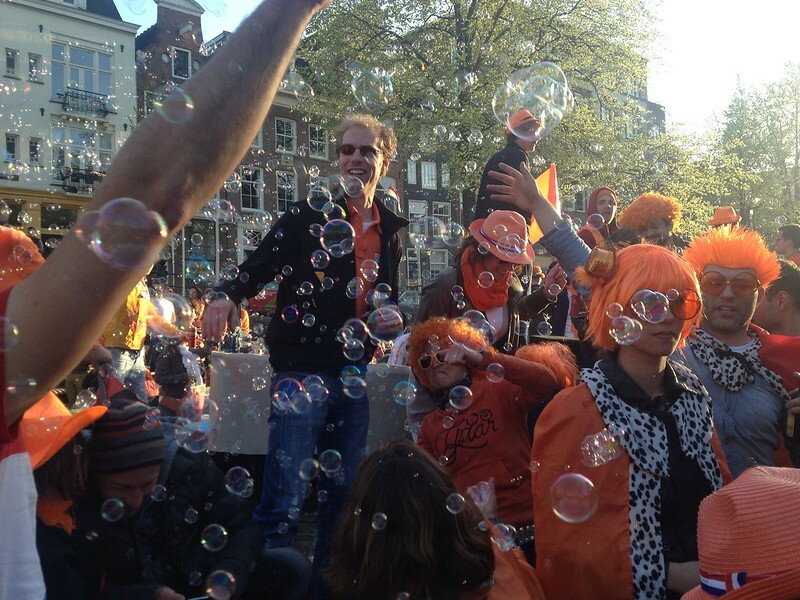 One of the big reasons I went to Amsterdam was to celebrate the Dutch National holiday Queens Day (Koninginnedag) with some of my friends. When my friend and I booked the trip we did not know yet that it was going to be as amazing as it was because at that point the Queen has not abdicated the throne. When she announced the news we knew this day would be extra epic because it will be the last queens day for a while and the coronation of the king and epic it was. One of my friends invited us on his sister’s boat for the festivities and it was amazing. We had food, drinks, and music and a lovely time was had by all (see pic below) if you ever have the chance to enjoy King’s Day on a boat in the canals of Amsterdam do not let it pass you by. 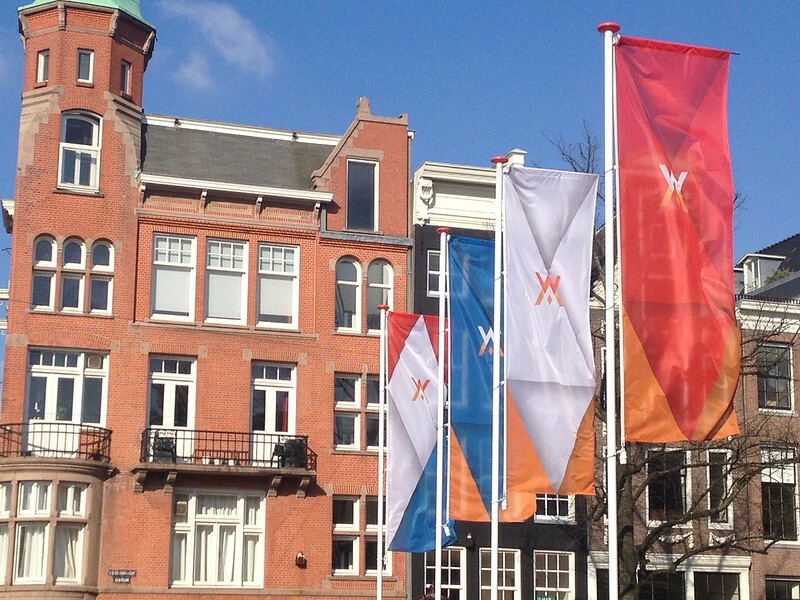 Another great thing about the now King’s Day is that people sell a bunch of stuff on the streets and it is like a giant flea market city wide. Regardless of when you go to Amsterdam it is a lovely city and is well worth a visit. While this is in absolutely no way a complete or even vaguely well researched city guide this is some of what I did while I was I was in Amsterdam and what I think you should do too. 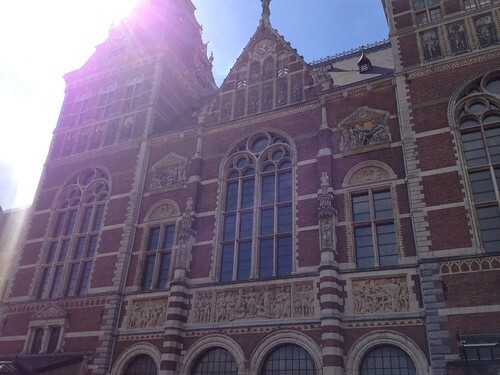 After being closed for 10 years for renovations the Rijksmuseum finally reopened this past April. 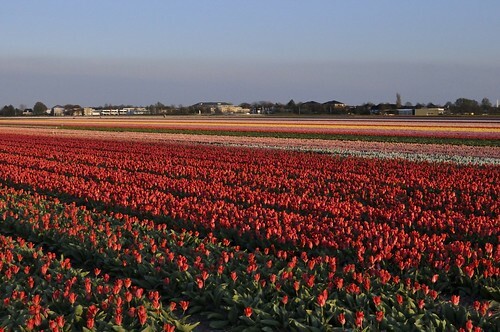 Holland is known for its famous artist such as Van Gogh, Rembrandt, Vermeer, etc. so the Rijksmuseum by proxy has a great collection of famous pieces. If you are an art lover the collection is great and well worth the visit. If you are not a huge art fan the museum is still a great stop as the building is amazing and the stained glass windows are fantastic as well. When I went my friend and I had to wait about a half an hour in a queue before we were able to get into the museum because the museum had only opened one week prior. I would assume that after a bit of time the wait should be less if not eliminated. 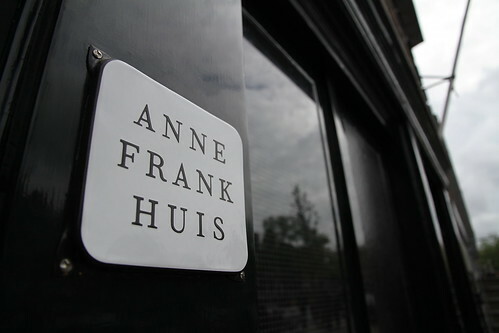 The Anne Frank House is a very popular stop for tourists visiting Amsterdam and I do think that it is a great place to stop by and see. My family has quite a deep connection to WWII so it was bit of a more emotional experience than I had expected. If you are planning to visit the Anne Frank House the Queue gets quite insane especially on weekends so it is best to buy tickets in advanced online. You buy tickets for a specific time and the spots fill up quickly so it is best to buy a month or more out from your trip. While I am not one to plan my trips too intensely I do recommend planning this one in advanced if you want to go or else plan a few hours for waiting in line. 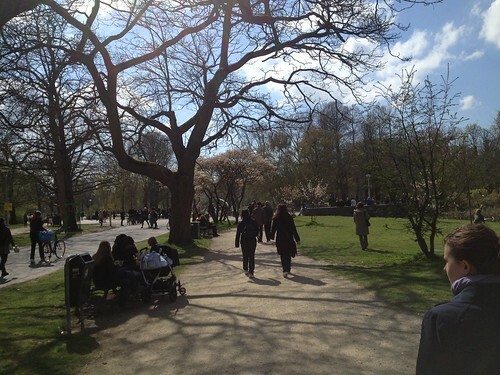 What can I say it is a lovely park, buy some wine, some cheese (preferably some lovely dutch Gouda), some bread and enjoy a lovely picnic on a nice spring or summer day. There is nothing better than soaking in the rays, having a picnic, and people watching which is also a great reprise after say visiting the Rijksmuseum. While I love food and eating which is usually a very important part of my trips it took a bit of a back seat to catching up with friends this time. I had looked into a few places that I had wanted to try but timing and location just ended up not working out. That being the case though I did end up at a some nice places that I would suggest you check out. Greenwoods is a lovely little English style tea house on one of the canals in the center city area. 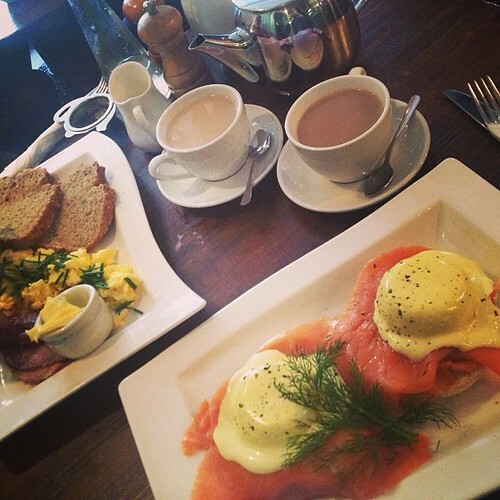 My friend and I had a lovely brunch there before we went to the Anne Frank house. While I had the Eggs Royale if I were to go back and be a bit hungrier I would suggest going for one of the high tea options. One of the other tables had it and it looked great with so many treats and finger sandwiches to eat. 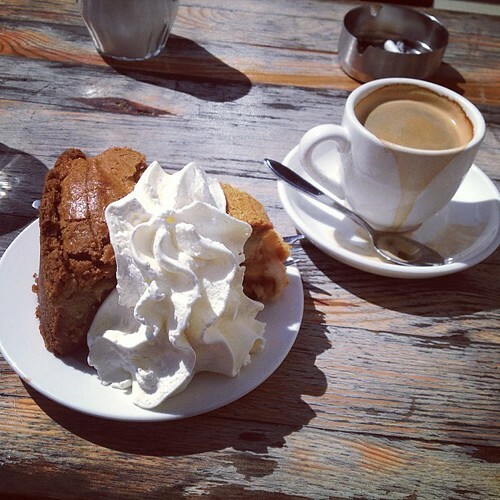 Winkel is famous for it’s Apple Cake which is amazing. Earlier in the day there can be a line but if you do have to wait it is defiantly worth the wait. While I got the Apple Cake as a mid day snack it would make a good breakfast as well. Just remember to not miss Winkel when you go to Amsterdam. On my first night in town my friends and I went to Lieve which is a cool little restaurant that is split into 3 sections each with its own dining theme but with the same menu throughout. 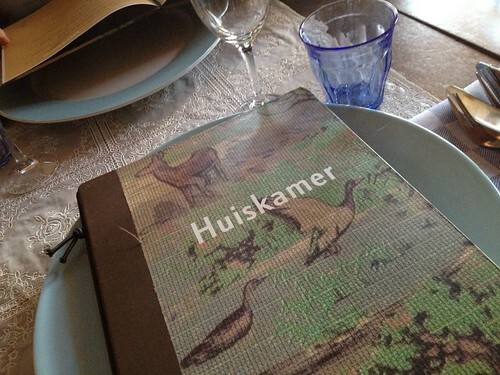 We ate in the front area called Huiskamer which means living room, this part of the restaurant is a relaxed atmosphere and has a nice view of the canals. One of the other areas is a family style setting and the last area is the more formal area where you have your meal in 5 courses. To eat I started with the Strudel of goat cheese, nuts and honey with a coulis of smoked beetroots, for my entree I had Baked John Dory fillet with a beurre noisette and spaghetti of yellow carrot and parsley, and for dinner Blackberry cannellone filled with a mangobaverois and a biscuit. Overall I was very happy with my meal but I wish I would have chosen a more chocolate-ly or cake-y dessert option. I like desserts that are a bit more heavy and not so light. Finally if you are in Amsterdam in the spring try to make it out to the Tulip fields they are fantastic to see in person. My friend took me and I am not exactly sure where we went but it was lovely and I recommend it.